In accordance with ACF policy GCCFV will NOT accept any pedigrees from AICC or it's registered breeders. GCCFV will provide a registration service to maintain the validity of pedigrees and for the security of breeders and owners. 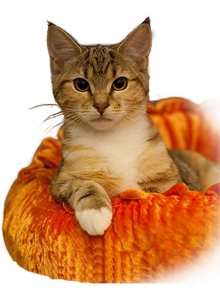 All cats and kittens over five months old, including Companion Cats, must be individually registered with GCCFV. The owner of any cat to be registered must be a financial Member of GCCFV. Junior members may register desexed cats; Junior members may register entire cats or kittens only in partnership with a Member. Associated Members may only register cats in partnership with a Member. In this case, the Associate Member must also be a member of a controlling body affiliated with ACF. Where a certified pedigree is lost or misplaced, and cannot be submitted, a statutory declaration must be supplied, and the relevant fee paid before a replacement can be issued. Queens must be registered with or transferred to GCCFV prior to the birth of any kittens. Applications for transfer of cats over 12 months of age from other registration bodies including interstate or overseas must be lodged wit the secretary within 60 days of transfer from originating body. Transfers after this period will incur additional fee of $25. Once a cat has been registered with GCCFV, that registered name cannot be changed or altered in any way except by the addition of any titles granted. Cats with a minimum of four generations (including the cat itself) of registered pedigree cats of the same bred or acceptable inter-mating group in their pedigree, may be recorded on the full register. All cats in the pedigree must be of a breed recognised by GCCFV. Owners wishing to individually register a cat for the first time must submit the application form to GCCFV with the appropriate fee. This form must be signed by the breeder. All details requested on the registration form must be supplied. Names of cats, including the breeder's prefix, must not exceed 30 characters, including spaces, hyphens or apostrophes. GCCFV will forwad a Cat Registration and ownership Certificate to the new owner. Application for individual registration of cats over the age of twelve months, not previously registered elsewhere will incur a surcharge. Cats not registered on a full register or supplementary register may be registered as Companion Cats. Companion Cat registrations must reflect the name and breed of any known parents. Companion Cats must be de-sexed by 5 months of age. Companion Cats are to be classified as Longhair or Shorthair. Cats sold to Non GCCFV members can be issued with a Pet Only Pedigree. To record transfer of ownership, the Cat Registration and ownership Certificate, with all details on the Transfer of Ownership section completed and signed, must be sent to GCCFV with the registration fee. GCCFV will record the transfer of ownership and issue a certificate to the new owner. Transfers of registrations of entire cats from other controlling bodies must be accompanied by a registration certifcate and pedigree certified by the controlling body with which the cat is registered. A copy of the lease is to be lodged with GCCFV with the required fee. If the leased cat is a female, progeny born during the period of the lease is to bear the prefix of the lessee. Challenges, championships, etc, won during the terms of the lease are deemed to be the property of the lessor and must be returned with the cat on the expiration of the lease. Prize cards, ribbons and trophies, etc, won during the tem of the lease are to remain the property of the lessee. Leasing fees, other money and conditions are a matter of negotiation between the lessor and lessee. Prize cards and other awards with show exhibitors name. Termination or expiration of the lease is to be notified to GCCFV with 14 days. A person leasing a cat or kitten from a judge may not enter said cat of kitten in any class in which that judge is officiating during the first three months of the lease. No other prefix may be incorporated in the cat's name . A new Member with a prefix registered with another controlling body, may apply to register that prefix with GCCFV. Proof of such registration must accompany the application. Prefix registration fees apply. Cats registered for the use in a breeding program on the Supplementary Register may be registered without a prefix. Subsequent generations must have a breeder's prefix. Cats registered on the Companion Cat Register must not have a breeder's prefix. Junior members may only register a Prefix in partnership with a Member. Associate members may only register a Prefix in partnership with a member. In this case, the Associate member must also be a member of a controlling body affiliated with ACF. GCCFV requires the registration of litters of kittens to verify the details of subsequent individual registrations. GCCFV requires all litters born to be litter registered where 1 (one) or more kittens survive. Litter registration numbers may be used by the breeder of the litter for the purpose of show entries to the age of five months. Kittens must be individually registered by the age of five months. The stud service section of the Combined Stud Service & Litter Registration Form must be completed by the owner of the stud. The remaining details must be completed by the owner of the queen and forwarded to GCCFV with the required fee and an official pedigree of the sire if it is not registered with GCCFV. Stud Service is a contract between the owners of the stud and the queen. Upon registration, GCCFV will issue a Litter Registration Certificate to the breeder. Applications for registration of litters over the age of 6 months will incur a surcharge. Litters will not be registered after the age of 12 months. All completed documentation including the S.R. application form must be submitted to GCCFV for approval. All Cats to be used in a breeding programme must be registered and if not eligible for full registration must be on the Supplementary Register. All progeny from a breeding programme must be registered on the GCCFV Supplementary Register until four generations of breeding are obtained. The breeding programme registration number should be quoted on all applications for registration on the GCCFV Supplementary Register. The purchaser of any cat from a breeding programme, which is not eligible for full registration but which is to be used for breeding purposes, must either apply for approval of a separate breeding programme or complete and return the declaration of intention to breed under the auspices of the original approved breeding programme. Variant progeny, i.e. the progeny resulting from the crossing of two separate breeds, from the breeding programme may be shown competing against the breed they resemble. However, unless the variant is required for the continuation of the programme, it is recommended to be sold as a pet and neutered. It is the obligation of the breeder to notify, where applicable, all prospective purchasers of cats from this programme that the cat is from a Supplementary Breeding Programme and is therfore not eligible for registration on full register. Pedigrees must show all details including breed, colour and markings, registration numbers and generation details. An owner may reclassify the colour of a kitten up until 9 months of age; and this reclassification may be carried out on the day of a show. An owner may apply for reclassification of a cats colour or breed by completing the appropriate form and presenting the form and copy of registered pedigree together with any relevant DNA testing to the GCCFV Secretary. GCCFV Secretary is to arrange a suitable time for the owner and cat to be present with three senior judges who will consider the reclassification request. This can be done at a show with the agreement of the GCCFV Representative and the Show manager. 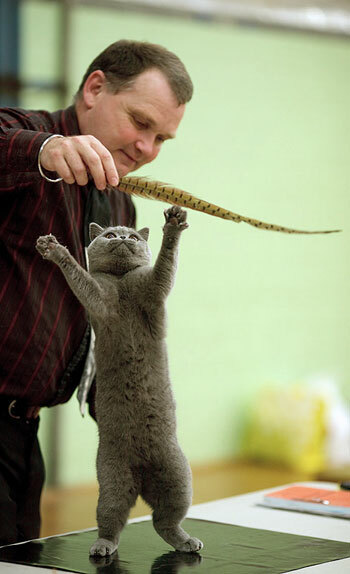 If the cat is reclassified, the necessary changes are to be made to the paperwork for that show. The reclassification form, signed by the officiating judges, is to be given to the owner who must forward it, with the original pedigree/registration certificate, to the GCCFV Secretary. A new pedigree/registration certificate will be issued, with no fee. The cat is to be entered in future shows under the new classification.